With the left side cover off I can see mostly what happened. There is melted plastic from a large cover shield just below the tank. Flames from below melted it. 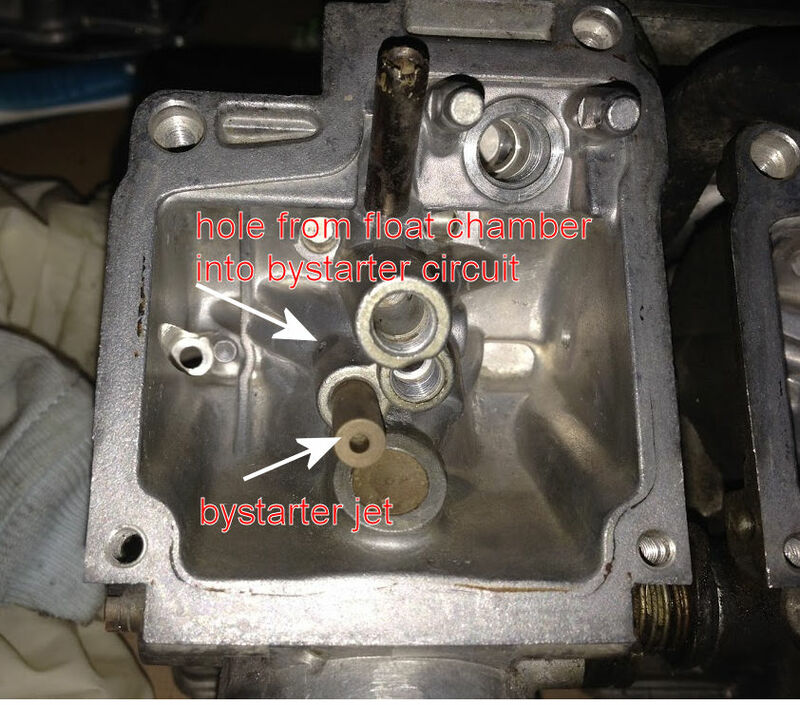 The fuel pump points appear to be the origin since it is the most damaged area. The burnt plastic cover around the points is carbonized and crumbles under pressure. Damaged plastic elsewhere has more integrity and still flexes. I figure the points over heated and flames spread from there. Luckily the tank looks fine except for scorched paint on its dangling flange. It was right in the path of the flames. To do list - buy fuel pump, points, large and small plastic shields (both NLA but found large one on Japaese auction which I won. $10). Probably get new battery. Why risk an acid leak. The cables look decent and I think a layer of heat shrink will make them good as new. Replace any dubious crimps. New fuel line(s) and maybe filter (bought $50 fuel kit from Japan, too). I will drain the tank and remove it to get an even better diagnosis. So far it all seems doable. Hi Bill, great advice as always. Should he clean out the fuel path to the carbs first lest debris makes it way to the finicky carbs. Would be wise to do all to avoid a carb overhaul. Also, please educate us the purpose of spraying "Sta-Bil Fogging Oil into each carb throat" does. Can't he just leave the tank on and go straight to the fuel priming steps? I suggest inspecting the interior of the tank before doing anything. Could offer up some hints as to the condition of unobservable areas. My 2 cents . Welcome back to motorcycling! Your story echos mine. I was away from bike 18 years and got lured back one year ago through a project bike (RVF400 which is still not running ) I picked up a CB-1 in the meantime and it's a fantastic bike.